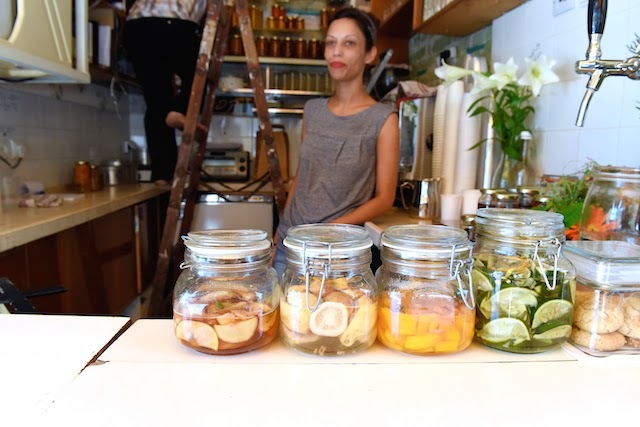 One and a half year old, Levinsky 41, a bright artisanal soda shop, nestled in the historic Levinsky Spice Market, in the shadows of the old bus station in southern Tel Aviv. A wide range of residents populate this bustling neighborhood and its surroundings, established in the 1930's by Jews from Saloniki, Greece. Hipsters, a mix of African immigrants, old timers, young starving artists and some involved in shady business at night, are some of the dwellers in this re-vitalized neighborhood. I am really happy to be writing again for The Jew and the Carrot, The Jewish Daily Forward's blog. 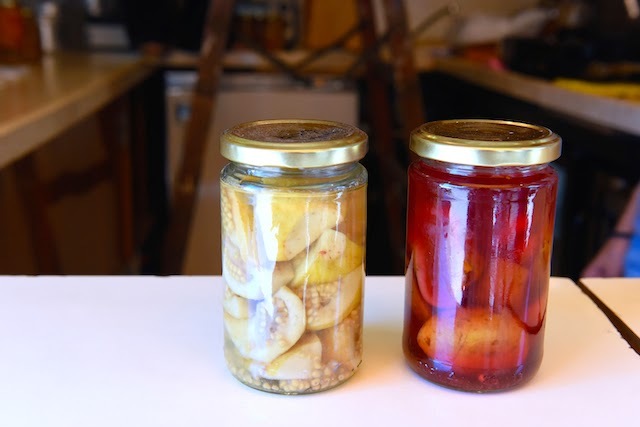 Please head over to read the rest of (as I view it) this sunny post, and get the apple pomegranate artisanal soda recipe from this charming little artisanal soda shop. I bet those sodas taste heavenly! Ok now this sounds great! I love that first photo, by the way. Heading over now! Wow does that look good - love the flavor combo! 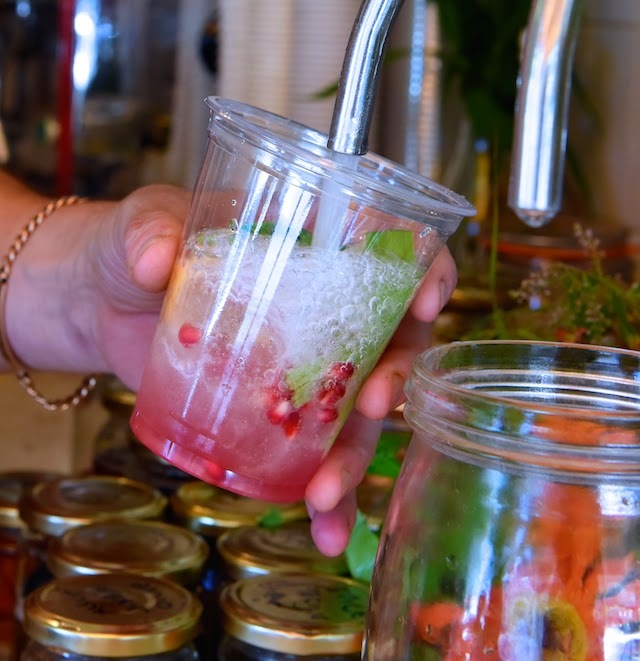 Pomegranate in beverages is so refreshing, I'm hopping over right now to see more info. Those photos are stunning! I can't wait to read more about this soda shop! Hi Shula, I would love to visit this soda shop next month! !